Pink Banarasi silk Partywear kurti Plazo suit Top- Taffeta satin Plazo-Banarasi Silk Dupatt..
Royal Blue Designer Georgette Embroidery Salwar Suit Top-Georgette+inner Satoon Bottom-Silk ..
White Designer Chanderi Silk Floor Length Gown type Salwar Suit Top- Chanderi Silk + inner Bot..
Yellow Color Long gown with heavy Banarasi Dupatta,Buy online high quality long gown with heavy Bana..
White Color Wedding gown with heavy Banarasi Dupatta,Buy online high quality long gown with heavy Ba..
White Color Stitched Wedding gown with Heavy Banarasi Dupatta,Buy online high quality long gown with..
White Color Stitched Long gown with Heavy Banarasi Dupatta,Buy online high quality long gown with he..
White Color Stitched gown with Heavy Banarasi Dupatta,Buy online high quality long gown with heavy B..
White Color Long gown with Heavy Banarasi Dupatta,Buy online high quality long gown with heavy Banar..
Royal Blue Color Party gown with heavy Banarasi Dupatta,Buy online high quality long gown with heavy..
Royal Blue Color Long gown with heavy Banarasi Dupatta,Buy online high quality long gown with heavy ..
Red Color Wedding gown with heavy Banarasi Dupatta,Buy online high quality long gown with heavy Bana..
Red Color Stitched gown with heavy Banarasi Dupatta,Buy online high quality long gown with heavy Ban..
Red Color Long South Indian Gown with Heavy Banarasi Dupatta,Buy online high quality long gown with .. 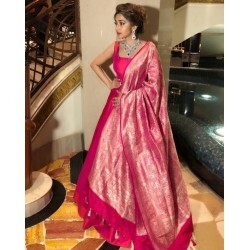 Pink Color Long gown with heavy Banarasi Dupatta,Buy online high quality long gown with heavy Banara..
Grey Color Stitched gown with Heavy Banarasi Dupatta,Buy online high quality long gown with heavy Ba..
Green Color Long gown with heavy Banarasi Dupatta,Buy online high quality long gown with heavy Banar..
Green Color Banarasi Gown with Heavy Banarasi Dupatta,Buy online high quality long gown with heavy B.. Bottle Green Color Long gown with heavy Banarasi Dupatta,Buy online high quality long gown with heav..
Blue Color Wedding gown with heavy Banarasi Dupatta,Buy online high quality long gown with heavy Ban..
Blue Color Long gown with heavy Banarasi Dupatta,Buy online high quality long gown with heavy Banara..
Black Color Wedding gown with heavy Banarasi Dupatta,Buy online high quality long gown with heavy Ba.. Pink Anarkali Gown with Heavy Banarasi Dupatta Gown Fabric Taffeta Silk Dupatta Heavy Banarasi..
Aishwairya Rai Golden Designer Stich Salwar suit with Banarasi Dupatta Top-Banglori Satin S..